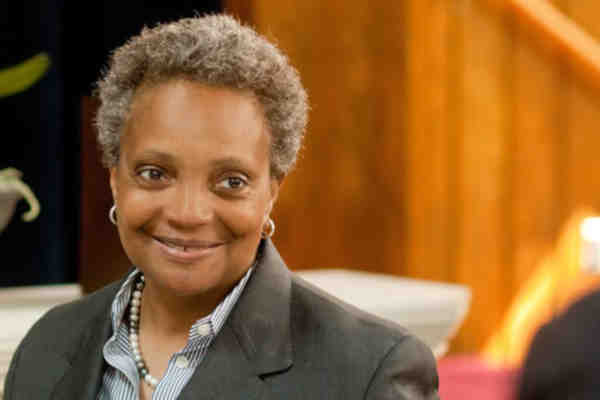 Voters in Chicago on Tuesday voted Lori Lightfoot as mayor, making her the first openly lesbian, black woman elected mayor of the city. Lightfoot was running against Cook County Board President Toni Preckwinkle. The AP called the race for Lightfoot at 8 P.M. local time. Early results showed Lightfoot with a commanding lead. Chicago becomes the largest city in the United States with an openly gay mayor. Houston, which elected Annise Parker to three terms as mayor, previously held that distinction. Lightfoot was endorsed by the LGBTQ Victory Fund, a group which helps elect LGBT candidates. Parker helms the organization.